The World Series of Poker might be just around the corner, but the organizers are already looking forward to the next season of Circuit events. Since the WSOP Circuit (WSOPC) series launched back in 2005 it’s gone from strength-to-strength and the 2017/2018 is set to be bigger than ever. Outlined in a May 17 press release, the new WSOPC season will feature 26 stop across the US and an enhanced international schedule. In a change to the domestic schedule in the US, players will now be able to compete for a WSOPC ring in a host of new events. On top of visiting Thunder Valley Casino in Northern California twice, the tour will visit Choctaw Durant, Oklahoma, twice and Harrah’s Cherokee three times between 2017 and 2018. 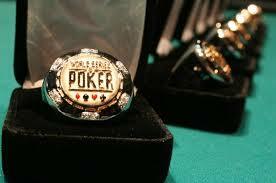 As well as travelling around the US, the WSOPC will cross the pond over the coming months. Although the new schedule for the WSOPC International hasn’t been announced, the organizers have said it will visit more stops that it did in 2016/2017 when it hosted events in Italy, Germany, Brazil and beyond. For players taking part in the US series, the WSOP will be hosting a $1 million+ Global Casino Championship at the close of the season. Players will earn points throughout the season and the top performers will be given free entry to the invitation-only event. Although the date has yet to be confirmed, participants will be playing for a prizepool worth at least $1 million and a WSOP bracelet. When the WSOPC launched more than a decade ago, it was designed to act as a prelude to the WSOP summer series in Las Vegas. However, following a surge of popularity, it’s now become a staple tour for professionals and amateurs both in the US and internationally. Part of the tour’s appeal is its buy-ins. With side events costing just a few hundred dollars and main events coming in at $1,675, the WSOPC has become a steppingstone for aspiring players looking to break into higher stakes events. Indeed, players such as Ari Engel, Domink Nitsche and former November Niner Jeremy Ausmus have all enjoyed deep runs on the tour.